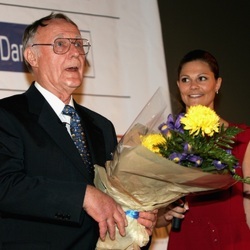 Ingvar Kamprad net worth: Ingvar Kamprad was a Swedish businessman who had a net worth of $42.5 billion at the time of his death in 2018. 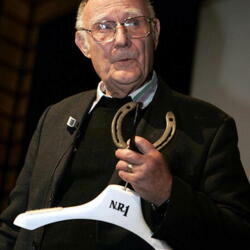 Ingvar Kamprad was born in Sweden March 30, 1926. Kamprad began his career as a salesman at a very young age. When he was just 5 years old, he bought matches in bulk and sold them at a discount. From there, it wasn't long before he began selling other items, including fish, Christmas tree decorations, seeds, ballpoint pens, and pencils. Eventually he added furniture to the mix, and the largely mail-order business that would eventually become IKEA was born. He launched IKEA with a small loan from his dad when he was 17 years old. In 1956, a little more than 10 years after being launched, IKEA began "flatpacking" furniture to reduce shipping and storage costs. The idea was to give the customer a show room but then sell un-assembled which was cheap but decent quality and could be easily transported home. IKEA became extremely successful over the years. In 1970, Kamprad moved his family to Switzerland to avoid extremely high Swedish taxes. His paper net worth eventually ballooned to $40-50 billion. He moved back to Swedwen in 2011. Before making the move, he transferred the ownership of IKEA to a series of complicated trusts and foundations to reduce his net worth down to just $113 million in liquid assets. 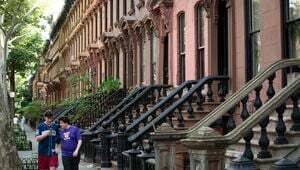 Since he was still technically the beneficiary and owner of those trusts, most outlets agreed that his net worth could still be estimate in at least the range of $40 billion. Kamprad was well-known for his surprisingly low-key lifestyle given his massive net worth. He only traveled by economy class commercial airplanes, and was reported to recycle tea bags and keep salt and pepper from restaurants for himself. This fastidious sense of cost consciousness is reflected in IKEA, which is known for its cost saving measures and its low prices compared to other furniture dealers. It is also reflected in this quote from Kamprad, which doubles as his personal and corporate philosophy: "It is not only for cost reasons that we avoid the luxury hotels. We don't need flashy cars, impressive titles, uniforms or other status symbols. We rely on our strength and our will!" 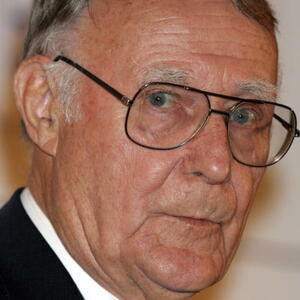 Net Worth details: Kamprad is credited with the full value of the world's largest furniture retailer, Ikea. He controls Interogo Foundation, which controls the Ikea concept and trademarks. Ikea Group had $39 billion revenue in 2016. Kamprad's three sons own the family investment company Ikano. Ikea has 340 stores that sell nearly 10,000 products and almost 800 million store visits. Ikea Group also reported 4.2 billion euros in net income for 2016. IKEA's Ingvar Kamprad Was Among The Top-Ten Richest People When He Died... What's Going To Happen With His Money?